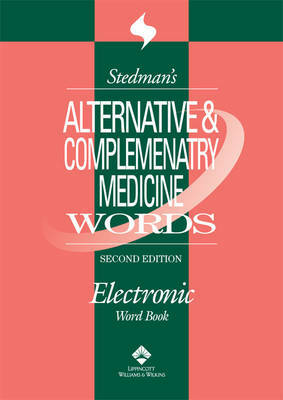 The CD-ROM version of "Stedman's Alternative & Complementary Medicine Words, Second Edition" contains all the content of the print version and makes finding comprehensive alternative and complementary medicine terminology fast and easy. The CD-ROM format also helps users increase their productivity with these great features: wildcard search, search by Appendices, copy, paste and print feature, one-time installation, and direct access to the product from the Tools Menu in Microsoft Word. It is a windows Compatible.